A floaty silk scarf and elasticated beaded scarf ring to match. A chic and elegant accessory to complement this season’s look. Each scarf is finished off with a machine stitched hem. Wash/Care Instruction: Hand wash cold separately or Professional Dry Clean recommended. (Please remove scarf ring when washing). 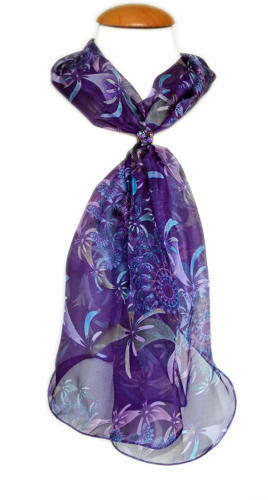 * As each scarf is individually hand-made, slight variations in size and placement of the print may occur.